FOR PARENTS — Justin Time Go! Our goal in producing the Justin Time series is first and foremost to entertain children but we also hope to inspire their curiosity about history and the many different cultures that are found around the world. Through the power of Justin’s imagination, children are offered a whimsical glimpse into countries and cultures they probably do not know. The stories are targeted at 4 to 6 year old children and this very light introduction is done in way that is fun, but also honest and respectful. 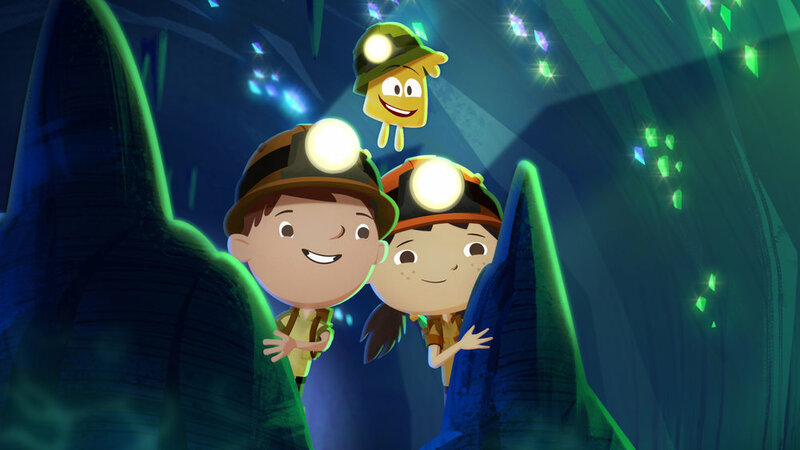 Justin, Olive and Squidgy encourage viewers to be curious, open-minded and empathetic to the traditions and practices of the various cultures highlighted in the series. We have been inspired by history but these are make believe stories and loosely based on some cultural aspects. Justin Time will pique your child's interest in what has come before them and encourage them to appreciate the world we live in today. We're thrilled if we've inspired your children to take a humble interest in learning about our past from the imaginary people we've created, and we encourage parents to support your child's interests as they get older by fostering their curiosity with an open mind about our world, past, present and future. More than ever, we need our children to be accepting and respectful of the many diverse traditions, cultures and ways of life that have existed on this planet and to embrace them now as we have, with deep respect, humility and boundless joy! We are currently working on putting up links to provide parents with resources about the countries and cultures covered in the series. Like Justin, our hope is for children and their parents to stay adventurous and always be curious!